The Examination lately is conducted Online with Questions specific to Gastroenterology on diverse and latest topics. The examination is a standard Examination checking Latest Medical Concepts, Diagnostic capability of students, Management of different conditions, Drugs used, Emergencies, Day to day problems, Patholological Concepts, Genetic concepts of Gastro Diseases as well as Oncological Perspectives. The Questions cover an Array of Topics Like Colonic diverticula, Colonic cancer, Crohns Disease, Diverticulitism Diverticulosis, Gardners Syndrome, Gastrin , Hour Glass Stomach, Lymphoma Intestines, Lynch Syndrome, Peptic ulcer disease, Peutz Jeughers Syndrome, Phaeochromacytoma, Pseudomembranous colitis and Pseudomyxoma peritonei. Molecular Concepts, Genetic Concepts, Genetic Signalling Defects, HLA linkage, Latest Drugs, Paediatric Gastro, Recent advances in Gastro are preffered lately. One should be aware of All new Developments and Latest Treatment Protocols. Ideally all Standard Text should be Consulted. But MD students aspiring for DM hardly have time to programme their Studies in a nice manner due to time Constraints. Medexams offers a good online source allowing students to prepare, practice and get acquainted with Examination pattern. Students taking Online courses have ordinarily far better results. Practicing MCQs is a good way to achieve Good rank. We offer a comprehensive precise time friendly online Programme with questions on different topics of the specialty. 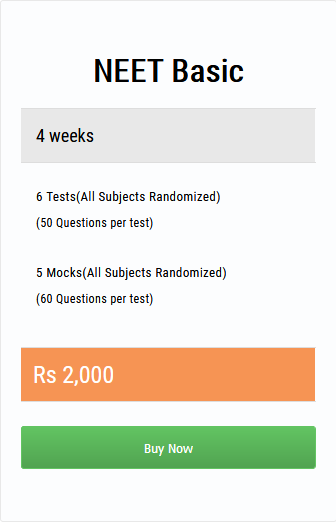 Med Exams is the leading portal for Online NEET DM Specialties including NEET DM Gastroenterology. Browse other good resources for NEET Mch here.